Phuket’s economy has been expanding for decades due to the island’s power-driven tourism industry. Due to the growth in that industry it is not surprising that the island has also seen significant growth in its real estate industry due to increasing numbers of workers the tourism industry requires. Increasing numbers of Thai and foreigner workers are coming to work in Phuket, and the following statistics show the numbers of workers who reside inPhuket and where they come from. 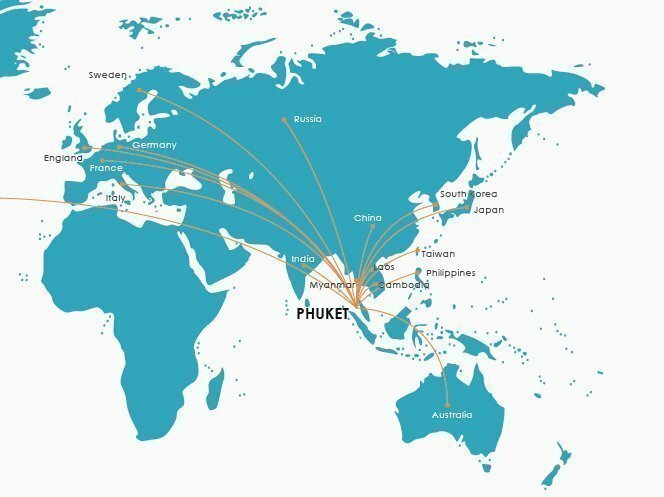 The largest number of foreign workers registered in Phuket originate from the 15 countries which make up the ASEAN region, 84,075 or 89.16 percent of all foreigner workers. 80,795 Burmese or 96.09 percent, 1,443 peoples Laotian (1.72 percent), 969 Cambodian (1.16 percent) and 868 Filipino (1.03 percent). In addition, there are also 1,749 workers who originate from other Asian countries including 599 South Koreans or 34.24 percent, 593 Chinese (33.90 percent), 329 Indians (18.81 percent), 200 Japanese (11.43 percent), 28 Taiwanese (1.60 percent). The second largest group of foreign workers in Phuket are Europeans with a total number of 4,524 made up of 1,363 English or 30.13 percent, 1,076 Russian (23.79 percent), 689 French (15.23 percent), 559 Italian (12.36 percent), 432 German (9.54 percent) and 405 Swedes (8.95 percent). The remaining 3,942 workers originate from either Australia, USA and other countries. Those from other countries make up for 72.08 percent or 2,841 workers, USA 558 or 14.15 percent and Australia 543 (13.77 percent).